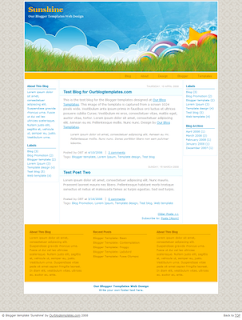 In recent months, Blogger templates have increased in number and quality. After last week's 125 Excellent Blogger Templates post, many more remarkable templates have been released. So from today and each Friday from now on, I'll be posting a new feature for Blogger Buster: a pick of the week's new Blogger template releases. Here are 10 of the best free Blogger templates which have been released over the past couple of weeks, with links to the demonstration blogs and the author's download page. 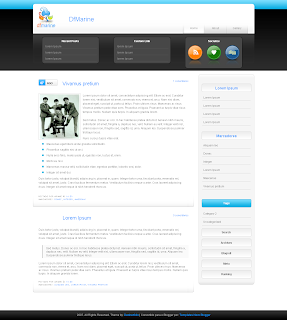 This is a sleek, three column template based on the theme of Windows Vista. It's among the first Blogger templates to include pagination by default, and features stylized icons for important links and sidebar lists. 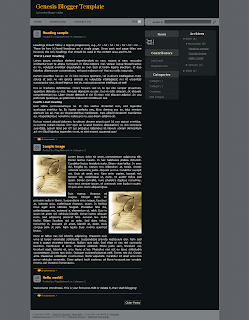 A dark, two column theme with beautiful backgrounds for links in the header section. This template features a split column sidebar, and areas in/beneath the header section for your widgets and ads. Simple and beautiful, this themeis presented in shades of blue and green making it ideal for a technical or professional style blog. A stunning conversion of the original Wordpress theme by Deziner Folio, this design features unique Ajax functionality in the sidebar and a striking header section. 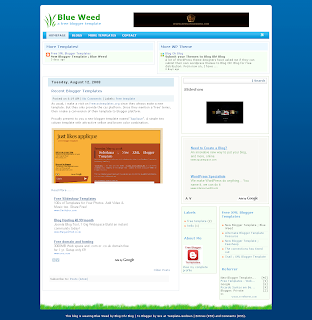 It may require some editing of the template for your links and other information, but is otherwise an excellent theme. 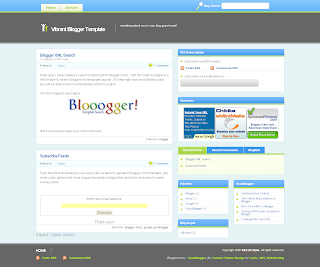 This is a minimalist template in which most of the fonts and colors can be altered easily through the Blogger dashboard. There is no working demonstration blog of this template though from the screenshots I can say it does look very interesting and is ideal for the blogger who prefers to customize their theme. 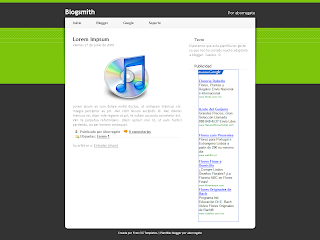 Here is another flexible theme from Our Blogger Templates which includes a beautiful header banner and styled layout. Again, there is no working demo blog, though the overall appearance is bright and stunning. 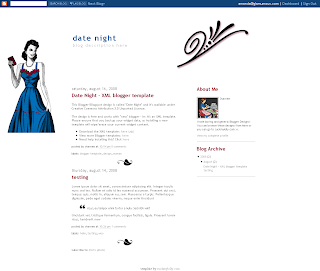 A pretty feminine theme made especially for Blogger users. Another minimalist and wholly customizable template by ThemeLib. 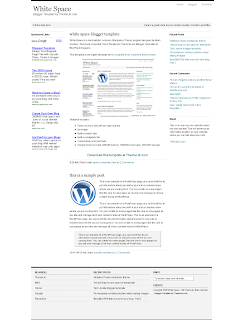 This is a conversion of Brian Gardner's original theme for Wordpress and is useful for any style of blog or niche subject. 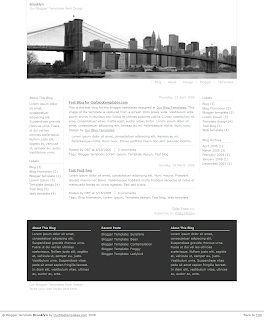 This is a simple, two column theme which was converted from a design by Free CSS Templates. 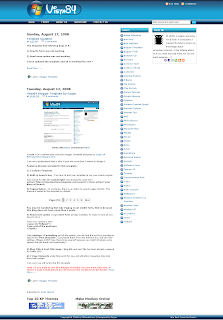 A striking use of contrasting colors which should be useful for many styles of blog. I was waiting for this beautiful theme to be converted for Blogger after reading the teasing preview on InfoCreek's blog! This is an elegant dark theme which is ideal for bloggers posting vibrant images as the color scheme really helps photographs stand out. There are two columns in the sidebar and an integrated calendar icon for each posting date. Do you design templates for Blogger? I would like to make the Friday Showcase a regular feature here on Blogger Buster so readers can find the latest themes. If you would like me to showcase our latest designs in future Friday listings, feel free to drop me a line or post your new themes in the dedicated forum thread and I'll do my best to include your designs in these regular showcase posts. Please feel free to let us know what you think of this post and the selection of recent Blogger templates by leaving your comments below.